Odor Description: Fruity, Raspberry, Floral, Fresh, Balsamic. 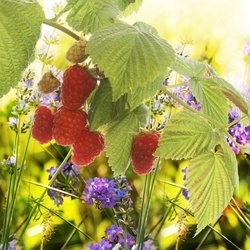 Berryflor® is a floral, fruity, raspberry-like product with jasmine, anisic and balsamic aspects. Usage: It blends well with floral, woody & musky notes, and with the Isoraldeines and other ionones. It enriches and softens accords in all fields of perfumery.